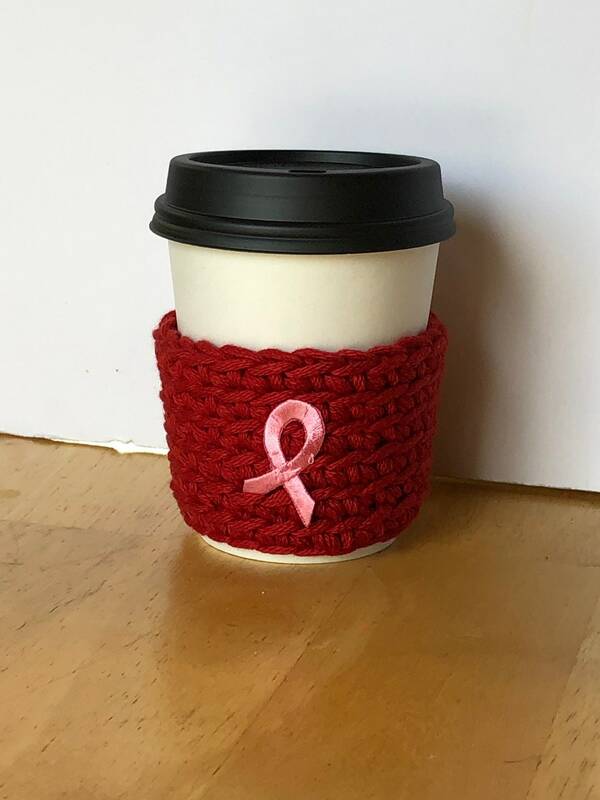 This coffee or tea cup Cozy is inspired by all the brave women who have battled cancer. I was blessed to have had early detection and blessed to have not had any need for treatment. I know many wonderful women and my mother in law is one of them. 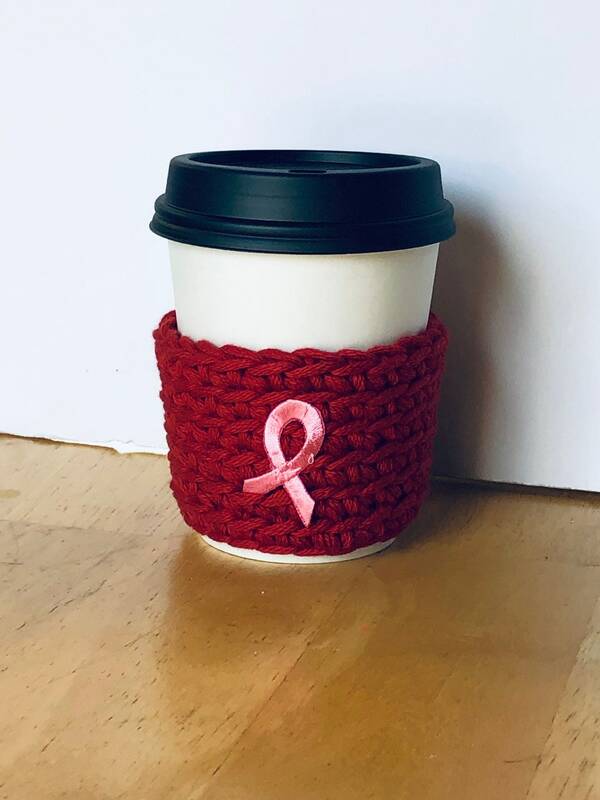 She had breast cancer and survived. 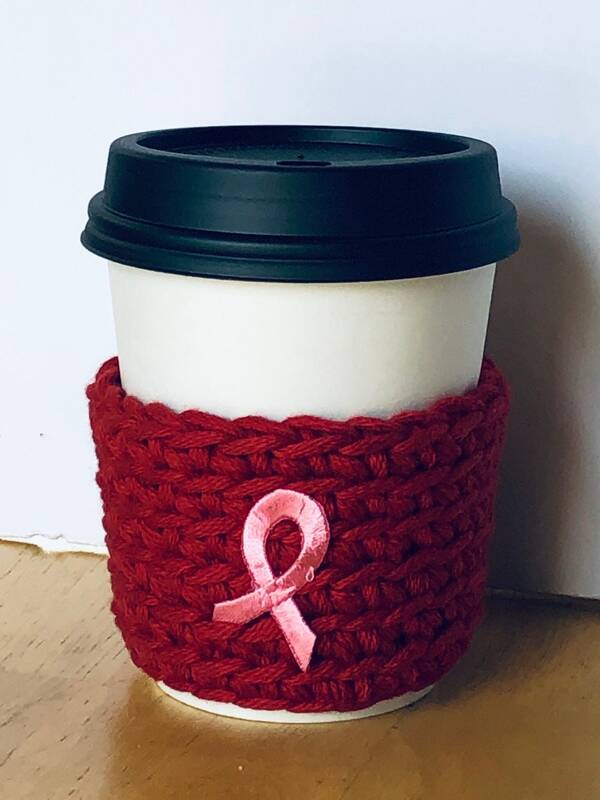 This is a wonderful gift idea for doctors, nurses and for anyone who may want to show support to breast cancer survivors or support the breast cancer fight. I’m honored to be able to have one of these in my shop now. Please indicate your color preference for the cozy itself. The pink sign for the breast cancer image will not be changed and it will be pink as shown in the pictures. The color options are for the crocheted cozy only. If you don’t see color you want then please indicate “ Other “ and leave a note at checkout. 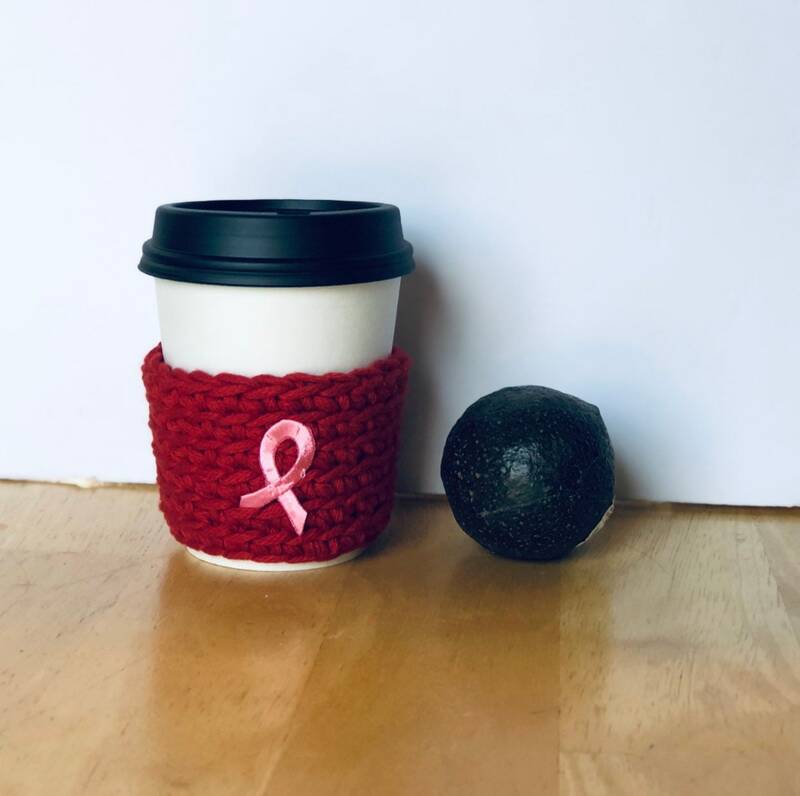 I take custom orders. 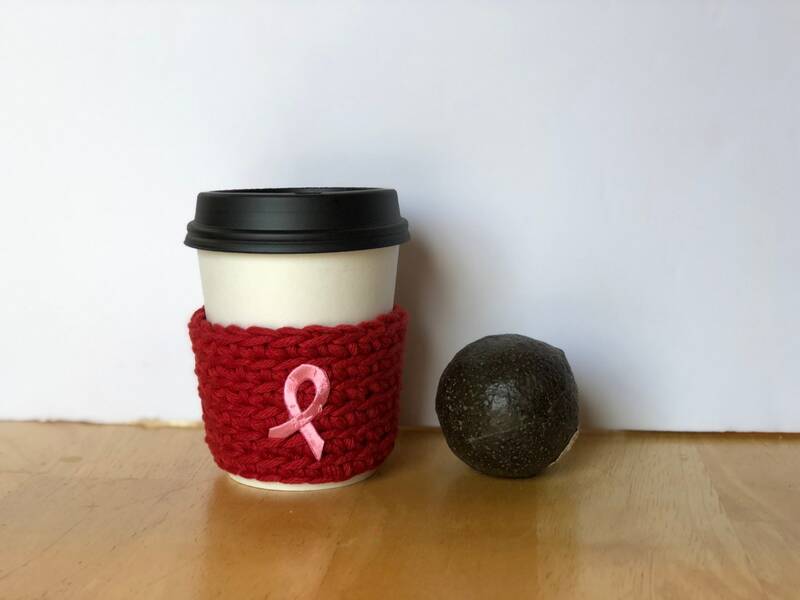 Any other items you see in the pictures such as the coffee cup are not included when you purchase this item . They are only included in the picture to show dimensions and use of the item.